July 14 marked the third Battle of the Brains, a series of quiz nights set up by Malta University Holding Company in collaboration with the University of Malta Research, Innovation and Development Trust, to help raise funds for research in ALS. Since its first edition last year, the quiz night has built quite a reputation for itself attracting a wide range of people, from families and friends looking for a night out with a bit of a difference, to groups of employees eyeing the event as an ideal team builder. With rounds including a blindfold taste test, this definitely isn’t one’s typical quiz night but it is definitely proving to be a lot of fun. 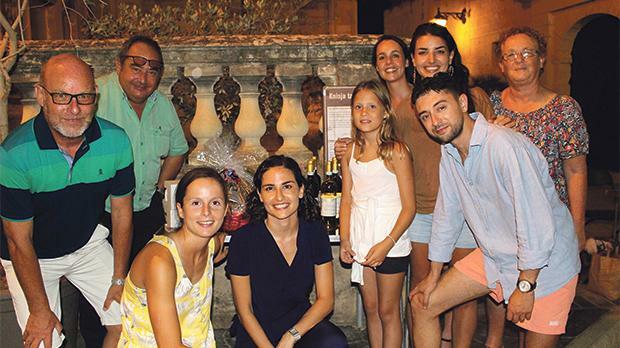 For the first time ever, this year’s event was held at Saracino’s Restaurant in Attard and doubled as a pizza night. It also marked MUHC’s biggest quiz night yet with a record number of participants joining to help support research in ALS. Sixteen teams went head to head in six mind-boggling rounds and the competition was as heated as ever but there could only be one winner. By the end of the quiz only one point separated the leader from the runners-up and it was ‘Just B. Cos’ who emerged victorious. This time round, thanks to even more support from companies, first and second runners-up were also given an award which went to went to ‘Ta’ Calleja’ and the ‘No-Brainers’ respectively. One of the highlights of this year’s Battle of the Brains was an appearance from the inspirational Bjorn Formosa himself, ALS sufferer and founder of ALS Malta, who has captured the hearts of the Maltese public. His touching words as well as the overall enthusiastic vibe helped raise the biggest sum yet of €610. This, alongside a further €150 raised by company employees is being donated to this worthy cause.